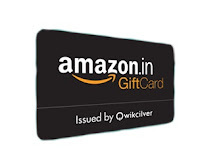 Flat 40% Off on Lakme and PVR Cinemas Email Gift Vouchers for Rs.350 at Amazon. Celebrate this festive time with your loved ones at PVR Cinemas or gift Lakme beauty products. 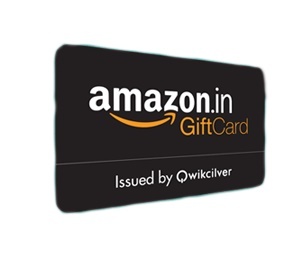 Amazon is presenting E-Gift vouchers for PVR Cinemas & Lakme Beauty products available at flat 40% off. You can avail these vouchers and get a cashback benefit of Rs.150. So book your show or shop for Lakme products by utilizing these vouchers available only at Amazon. Fill in your complete details with Email Id. Add to Gift card cart. Enter voucher code PVRCN200 for PVR Gift card. Enter voucher code 200LAKME for Lakme Gift card. Gift voucher is valid for 90 days from the date of issue. Applicable on Online bookings through PVR Web portal. Can only be redeemed, return cash or credit note will not be entertained. Any kind of returning / refunding of card will not be entertained. Gift voucher is valid for 1 year from the date of issue. Valid for single transaction only. This voucher can be used at all Lakme Salon Network. Not applicable on Lakme Salon Websites. Enjoy this amazing combo deal at Oyo Rooms. 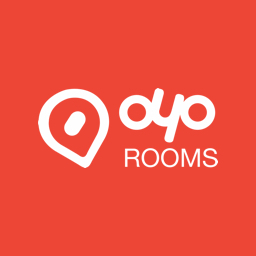 Oyo Rooms is currently providing services in around 150 cities all over India. You can make your bookings in advance and pay later at the hotel. They serve you with all the great facilities in affordable prices. Book your rooms today and get a 30% off. In addition to this, get a 30% cashback when you pay using Ola money. Choose your location and hotels accordingly. Offer is valid till 27th December. Applicable for Android users only. 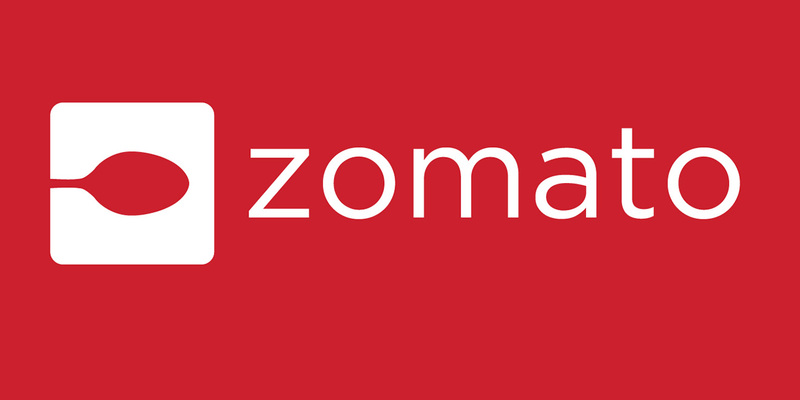 Zomato helps you trace and explore the best places to dine across India with your family and friends. There is no more need to worry about the food if you are all alone in a new place. 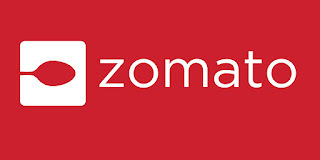 Zomato is there to guide you to the restaurants of your taste. Order food with Zomato for a minimum value of Rs.375 and get a 25% cashback on paying using your Mobikwik wallet. Click here to visit Zomato page. Search for some specific restaurants or cuisines whichever is preferred. Pay using your Mobikwik wallet. Get a 25% cashback on the billing amount. Offer is valid only till 23rd December. Cashback amount will be auto-credited in your Mobikwik wallet within 24 hours. Cashback will be valid once in a day. 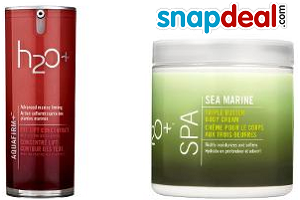 Flat Rs.100 Off on minimum purchase of Rs.500 of Beauty Products at Snapdeal. Shop your favorite beauty products available in multi brands like Lakme, Ponds, Nivea an many more on Snapdeal and get a discount of Rs.100 on your minimum purchase of Rs.500. Get your beauty stuff like body lotions, make up kit, cleanup set, massage creams and many other products of multinational brands at your doorstep. Simply logon to Snapdeal and order now to save your money. Select your beauty products and add to cart. Coupon code ALL100 will be applied automatically. Rs.100 will be deducted from your total shopping value (minimum Rs.500). Enhance your beauty now with a huge collection of beauty brands only on Snapdeal !!! Ola is not just helping you travel but is making lives easy in many other ways. Now you can order all the groceries online without any hassle from Ola Store and get them delivered at your doorstep in convenient time slots. They are providing you with flexible payment options and immediate delivery also. Download the app on your mobile phones or contact them through their website to order now and enjoy the benefits of their services. Click here to go to Ola store page. Choose your products from daily needs. Pay using Ola money or Cash on Delivery. Offer is valid from 21st to 27th December. You can avail a maximum discount of Rs.50 per order. You can order thrice during the offer period. Travelling by bus is the most preferred, cheapest and safest option in public transport. Its connectivity across all the cities in India makes it more accessible to people. 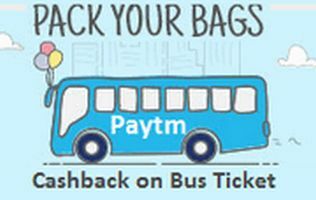 Paytm brings you a travel treat and is offering upto 60% cashback on your bus ticket bookings. You can choose from the various offers and enjoy the deal. Click here to visit Paytm. Select your destination, travel dates and no. of seats. Search for the buses and proceed. Use coupon codes to get discount. You can use the credited cashback amount for recharges, bill payments and buying products. 50% cashback: DECBUS50 and can be used twice. 10% cashback: TRIP10 and can be used 5 times. 5% cashback: TRIP5 and can be used 5 times. Celebrate with Flipkart Big App Shopping Days starting from 21st Dec -23rd Decwith amazing Offers & Discounts. This festive month end, explore amazing deals on Flipkart with The Big App Shopping days where you can get plenty of deals on Flipkart products.Download your Flipkart latest App and start fetching incredible deals with an extra cashback and discount offers applicable only for 3 days starting on 21st December and valid till 23rd December only. Download Flipkart App and register an account. Get an additional cashback using Citi Credit Card/Standard Chartered Debitor Credit card applicable in India only. Get in touch to explore various offers this New Year. Offer is valid from 21st Dec to 23rd Dec,2015 only. 10% additional cashback is applicable on Citi Credit Cards/ Standard Chartered Debit or Credit Cards in India. Cashback is valid on minimum purchase of Rs.4999. Offer is valid on purchase of Flipkart EGV also. Maximum discount of Rs.2000 is available.